Lalu Yadav has been convicted in four fodder scam cases since 2013 — the latest being the Dumka treasury case in which a special CBI court sentenced him to 14 years in jail. Convicted Rashtriya Janata Dal (RJD) chief Lalu Prasad was shifted to the Rajendra Institute of Medical Science (RIMS) on Tuesday, a day after he was discharged from AIIMS in New Delhi, where he was being treated for heart and kidney related ailments. The former Bihar Chief Minister reached Ranchi by the Rajdhani Express. He was taken to RIMS in an ambulance and has been admitted in the cardiology department. “We are waiting for a medial report from RIMS. Based on it, we will take a decision to Lalu Yadav in to the jail,” an official of the Birsa Munda Central Jail. On Monday, RJD chief Lalu Prasad Yadav was discharged from All India Institute of Medical Sciences (AIIMS), where he was admitted on 29 March. The former Bihar chief minister was discharged from AIIMS as his condition, reportedly, has improved significantly. While the hospital has claimed that Lalu Prasad’s condition has improved, however, RJD supremo believes that the decision of him getting discharged is being taken due to political pressure. 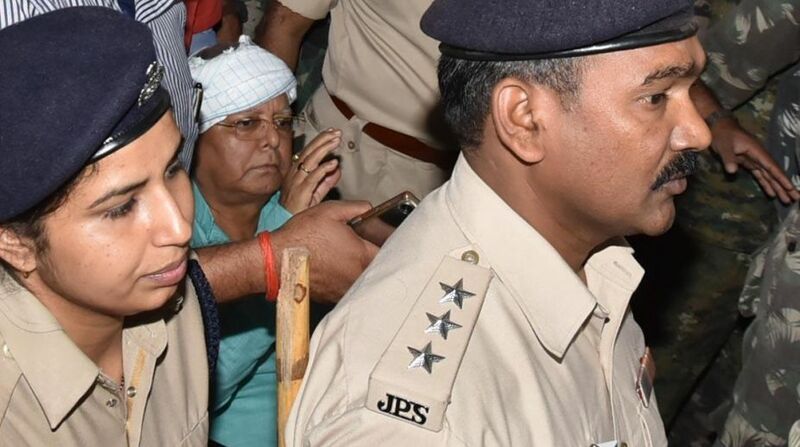 Lalu Prasad was admitted to RIMS on 17 March following complaints of uneasiness when he was lodged at the Birsa Munda Jail where he is serving a prison term since December 23, 2017, in connection with the fodder scam. He has been convicted in four fodder scam cases since 2013 — the latest being the Dumka treasury case in which a special CBI court sentenced him to 14 years in jail.